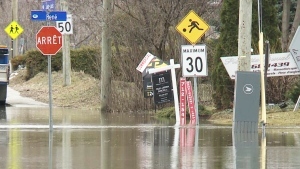 OTTAWA -- The Ottawa REDBLACKS signed offensive lineman Alex Mateas to a two-year contract extension, the team announced Wednesday. Mateas was the first overall draft pick in 2015 and finished his third CFL season in 2017. "Alex has proven himself as a steady performer who continues to grow into a top-end offensive lineman in the CFL and is another important piece of the puzzle as we continue build toward the 2018 season," said REDBLACKS head coach Rick Campbell. "I know Alex is a proud member of RNation and we're excited to have him back as part of the REDBLACKS family." The six-foot-four, 309-pound Ottawa native has played in all but one of Ottawa's games during his tenure with the team. 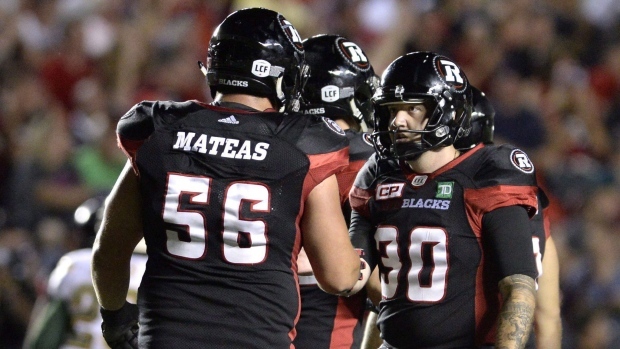 "I couldn't be happier or more excited to be coming back to the REDBLACKS ," said Mateas. "We have a great organization, a great staff and a great group of guys in that room. I'm looking forward to doing everything I can to bring another Grey Cup to our city." A centre at the University of Connecticut, Mateas has primarily played left guard in the CFL, filling it at centre as needed.